The Liebers: Five Reasons Why Being the Middle Kid is the WORST! 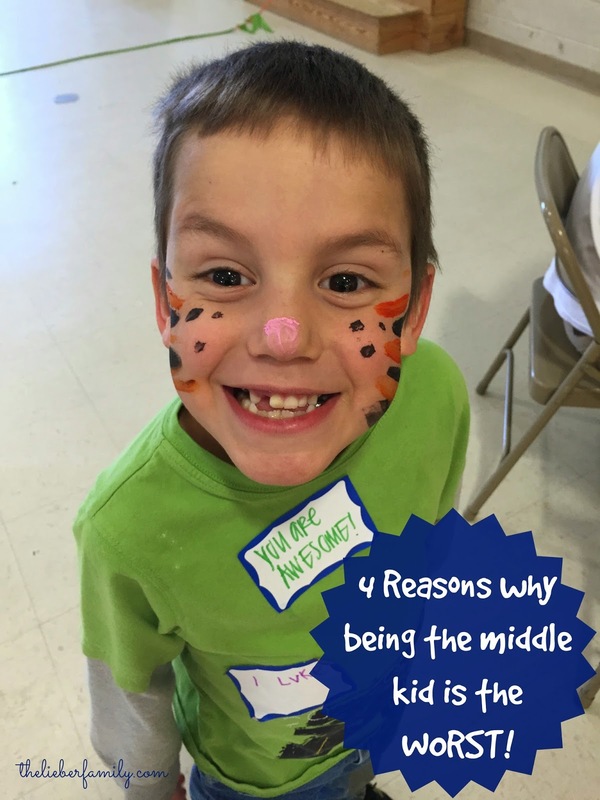 Five Reasons Why Being the Middle Kid is the WORST! Being the middle child is hard. You come along into this nice family who has already tested out a few theories and made a few mistakes. You think at this point they would have their parenting stuff together and really know what they're doing. But you'd be wrong. First your position as the baby gets usurped by another kid, just as you thought you were getting into a groove. Then all the other issues come along. Being the middle child is just the worst!! 1. Being in the middle means you are old enough to do all the chores your big sister has to do, but your little brother gets away with skipping them. On the other hand, when it comes to privileges like chewing gum, or staying by yourself for a few minutes, you're too little. Fair? I think not!! 2. Sometimes having a brother is fun. You get twice the amount of fun toys (when he's not looking) and there's almost always someone to wrestle with. At first it even seems fun when someone buys you matching clothes. What's cooler than one Batman t-shirt? Two Batman t-shirts. Until you outgrow them. Now you have to give your shirt to the little brother and you don't have one anymore. He gets the cool shirt with the cape that used to be yours and now you are left with nothing. NOTHING! 3. Occasionally having an older sister is fun. She can tell you how things work. She'll keep your secrets for you (sometimes!) But spoilers: There are SPOILERS! Want to read a good book? She'll see you reading it and start talking about the ending! 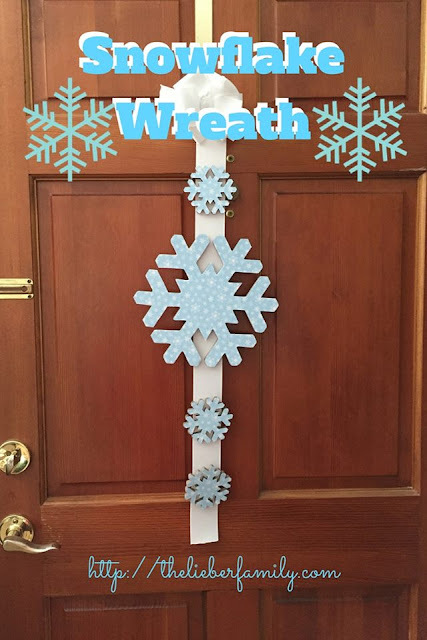 Santa Claus? You can tell something's up, but she won't talk about that! 4. As stated in my introduction, by the time the second child comes around, you'd think the parents would know what they were doing. In my experience, however, this is not the case. Sure, they figured some things out, but it really seems like they figured out too many things. The big sister is the testing grounds for parents. Then I come along and it's rules, rules, rules. It's like they've got my number! I can barely slip anything past them! Kids...talk to me! Are you stuck in the middle or do you get all the glory and accolades that come with being oldest or youngest? I was the oldest of only two, so I probably am not the best judge on being a middle child, but still definitely learned a bit about indeed being a middle child. I'm the oldest of two girls, my son is an only...I think each birth order has their issues and joys. I know we also list the negatives and positives of having an only each time we take our son out....as long as they are loved that is the most important thing. I'm the older of 2 girls and I have two boys. There was good and bad for me growing up and there were good and bad for my boys, but the one thing none of us had to deal with was the middle child syndrome. I am a middle child as well, so I feel his pain. The middle child struggle is real! I'm the oldest, but we have a crazy blended family, so the normal birth order patterns weren't really present. I am a middle, but my older brother is nine years older, so there's a big gap and that makes a difference. He knows he's loved, he just likes to complain. He really does seem "stuck in the middle" sometimes. As a middle myself, I feel his pain! There's a big gap (9 years) between my older brother and me. Plus I'm the only girl. I think I get lucky on a lot of the "middle kid" issues, but not all of them! He OWNS that middle child syndrome some days! LOL! I always wondered if my brother counted as a middle - I have a twin, a brother 6 years younger and a sister 7 years younger. It was almost like 2 separate sets of kids. I'm an only child so I have no idea what it's like to have siblings. I'm an only child but I can see it being a very different experience being in the middle and not being old enough for some things while being too old for others. Oh shoot our middle kids do have a tough go of it! Your little guy is awfully cute, but oy vey the hardships of the batman shirts and the whole non-disclosure of Santa. That is some funny stuff! In our family, the middle kiddo is the one who keeps the oldest and youngest from killing one another. So, thank heavens for the middle! Oooh! That makes it complicated! I'd say you definitely show the older child personality traits, though! You're very driven and dedicated. Family dynamics are such a hoot, aren't they! Did you miss that or revel in it? I've seen people go either way. He does get frustrated. I wrote this as a way to joke about his reactions sometimes, but I usually understand why he's getting mad. There's often not anything I can do about it, though. My middle is *literally* in the middle of every thing. He doesn't always cause the fights, but if there's a fight you can bet he's there! Ah, those middle child pangs! I am the baby of one family but then we became the Brady Bunch and I became smack dab in the middle. It's weird having one of every kind of sibling, although I don't have a twin. Luckily. I keep on thinking how my younger brother feels about being the middle child. I didn't see him having a hard time although he may have his own personal struggles that I didn't know of. I felt that my parents were fair enough to us all. I remember when we're in college, my mom had a new phone, I asked for it but she didn't give it to me because I already have a phone, she gave it to my brother instead then I told her my brother could have my phone so I could get the new one but she didn't allow me to. My brother and I are very close in age, so we didn't deal with a lot of it, but poor Henry gets it bad! Or at least he thinks so!! I was the older child of two, and I totally felt like I had to do all the hard work, and the little brother was along for the free goodies. I'm pretty sure though being the middle kid ain't no fun either. Hang in there, buddy! I am the only child and am totally jealous of others who have siblings and that sibling bond. Don't get me wrong, my mom spoiled me with all her love. I my mom's first and only at age 38 and she didn't 'plan' on having a child...but I think growing up with a sibling or a few would be awesome to help you go through the bad times, enjoy the good times with, and simply experience life. People are always good at finding things to complain about. There's pros and cons to wherever you fall in the birth order, I guess! I'm glad I have my brothers, but I've always wanted a sister. Obviously it's too late for that, but I just went out and found my own. I call my BFF my sister and she's OK with that!